Buemi lies 13th in the drivers' standings, and finished no higher than sixth in the first six races of the campaign. 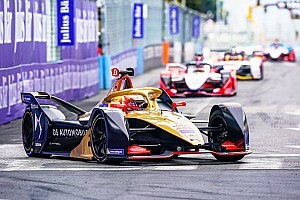 The one-time FE champion crashed out of the lead in Santiago, ran out of energy in Mexico after a team strategy miscalculation, retired with a suspension problem in Hong Kong and had his Sanya race compromised by a brake system investigation after a superpole crash. Nissan's team manager Francois Sicard says Buemi's pace in Sanya proves he will return stronger in Rome. 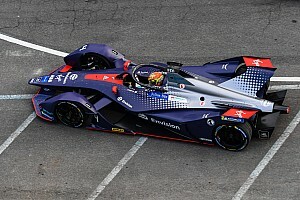 "[Buemi] started from the back and he was flying, he recovered until P6 and it was a very feisty race," Sicard told Motorsport.com. "He had some trouble, but finally we are losing 10-second penalty [for colliding with Robin Frijns], finishing P8. "But I want to keep in mind the pace once again of Seb, it has been there. "He is pushing a lot. Don't forget him, he will come back stronger in Rome I'm sure. "He is always there and it's little things that sometimes make the result difficult, but once it clicks, he will be there." Buemi told Motorsport.com that "every time I'm telling you the same thing," in that he has been unable to translate pace into a result, adding "every time I'm telling you I'm quick, it's going to happen". 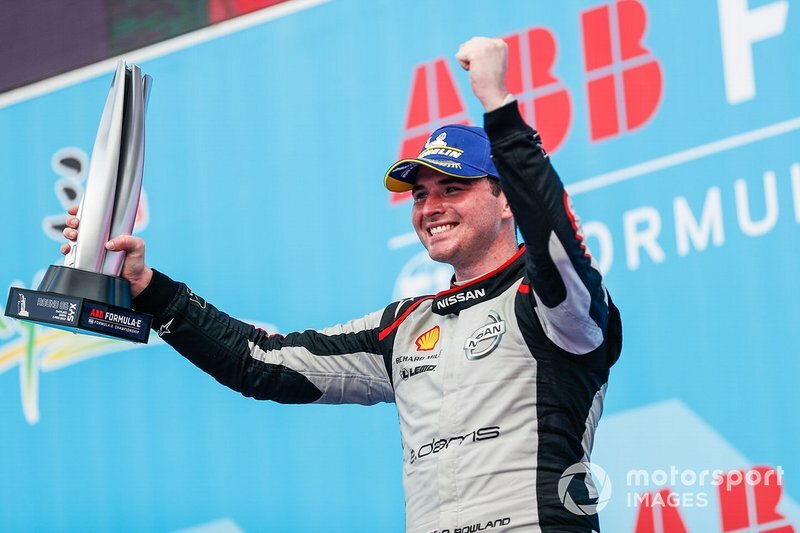 Buemi's rookie teammate Oliver Rowland is one place ahead in the standings, having scored pole position and a maiden podium at Sanya. 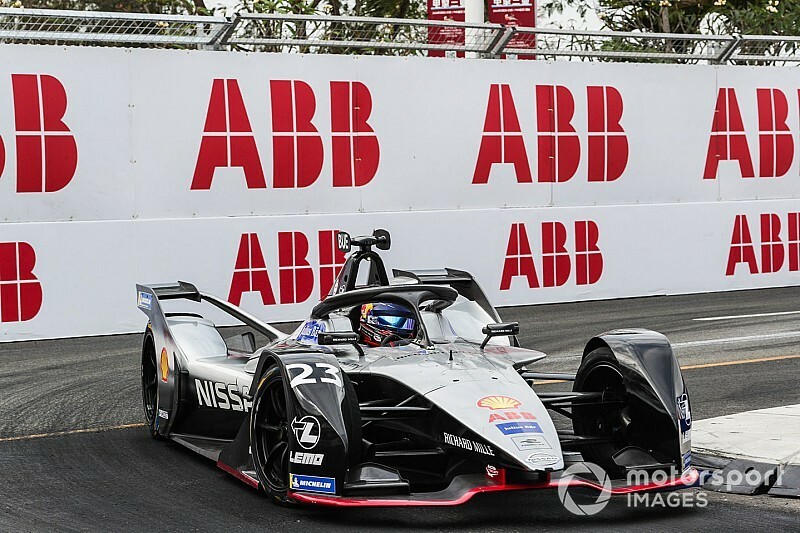 A last-minute arrival at Nissan following Alexander Albon's exit from the squad in favour of a 2019 Toro Rosso Formula 1 drive, Rowland conducted just one day of pre-season testing in mixed conditions that would've impacted his adaptation to the series. 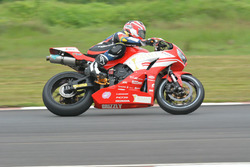 Sicard told Motorsport.com: "To be honest, I was not expecting him [Rowland] to be quick so early in the season. "He was not involved in the development test. He started the collective test on the last day and it was raining. 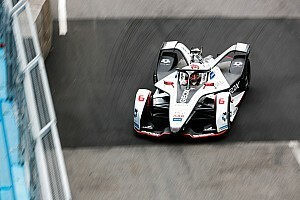 "So he had to learn the car during the events, which is not the best way to learn this kind of car, especially with the new generation of cars which are much more difficult to drive. "So really impressed by the job he is doing, and he has a really strong teammate who's a reference for everybody in the championship at the moment. "They are getting along very well, for sure Seb helps him and was very comfortable to give him some tricks and he learned very quickly. "We are very happy, we have a very good bunch of drivers at the moment." Asked if he had expected to shine in his first full FE season, Rowland told Motorsport.com: “It's difficult to say. Obviously I'd like to have thought so, but I never expected it. "I hoped I could come in and impress, but it's a little bit like when you do a junior formula, you have to always choose the right team and you have to be in a good position. "And obviously Stoffel [Vandoorne] at certain points of his career was in cars that were capable of winning, and then he comes here [racing for HWA] and for sure they have a little bit of work to do. "So it just shows that you can quite easily pick the wrong team and not get a career in motorsport. Obviously, everybody knows they're very capable. "I'm very lucky, I'm in a good team. It's nice that I'm in a team where I can show my ability."